A tray of Yorkshire puddings fresh from the oven should be well-risen, golden brown with a crisp exterior, and have a soft middle. But sometimes, they fail to rise and there may be several reasons why—from the oven temperature to the kind of fat used. 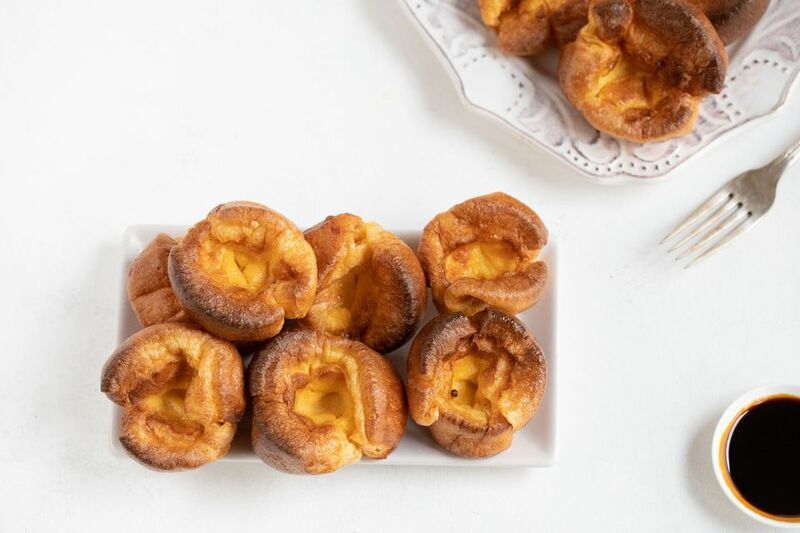 Follow these 11 tips and you are sure to have puffed up Yorkshire puddings every time. Even if all else fails and the puddings are not as risen as they should be (though, to be honest, follow all of these tips and they will be fine), they will still taste pretty good. 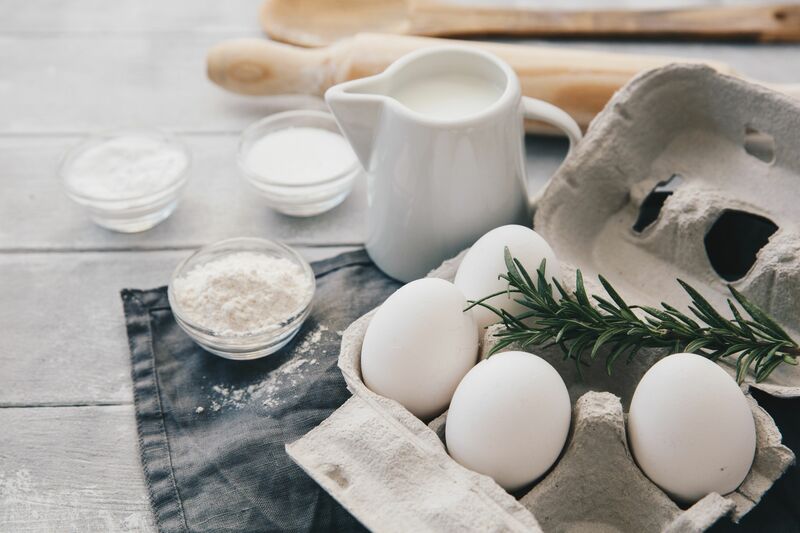 Always use equal volumes of egg, milk, and all-purpose flour. If you use too much flour, the resulting pudding will be heavy and dense. Without enough egg, there will be insufficient air beaten in for a successful rise. Too much milk will make the batter too loose. The batter must be lump free, so always beat the batter thoroughly so it is without any lumps. If you aren't sure the batter is smooth, strain it through a sieve before cooking. Letting the batter sit helps the puddings rise. Leave the batter to rest in the kitchen for a minimum of 30 minutes, longer if possible (up to several hours is ideal). You can cook the puddings right away, but there is a chance they will not be as big. The fats need to reach a high temperature. Make sure you use lard, beef drippings, or vegetable oil in the tins and heat in the oven until the fat is smoking. Never use olive oil or butter—these two fats will not reach a high enough temperature without burning. After the batter has sat, always give it another good whisk to reassure there are no lumps. Adding 2 tablespoons of cold water also helps to cool down the mixture before pouring into the smoking hot fat. Avoid overfilling the tin—filling the tins 1/3- to 1/2-full with the batter is usually sufficient. Too much batter and the puddings will begin to rise but soon collapse as they will be too heavy. A successful rise will come from the combination of a cold batter going into a very hot oven. The oven should be as hot as possible–the highest setting your oven can handle (450 F to 500 F) without burning everything to a crisp. If possible, avoid using a convection oven as the forced air in a fan oven can sometimes be too strong and cause the puddings to collapse. If you have a setting where you can switch from convection to regular, make sure you do so. If you can, avoid opening the door during cooking—the cold will make the pudding collapse. Sometimes they make a recovery but never rise quite as high as they should. When cleaning the pudding tins, never wash them with soap and water—this spoils the surface of the tins and can cause the Yorkshire to stick and thus prevent puddings from rising. Just wipe clean with a paper towel after use.